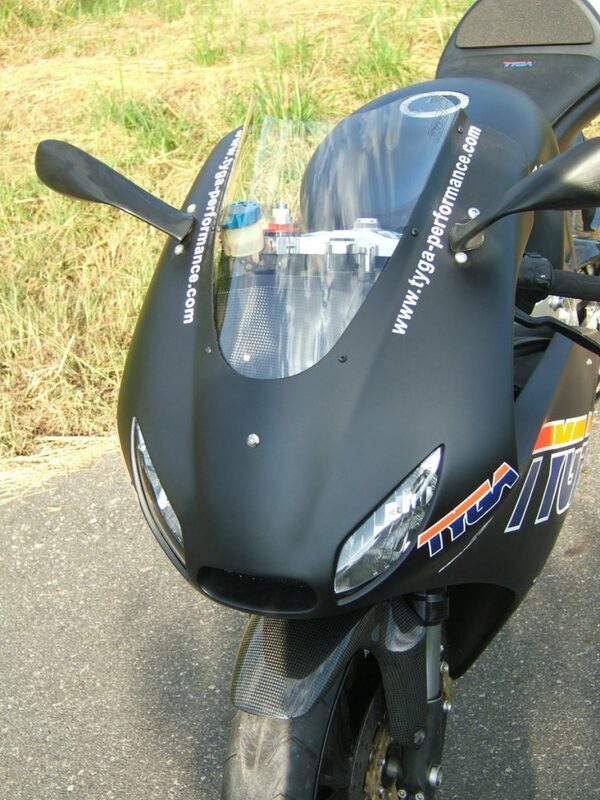 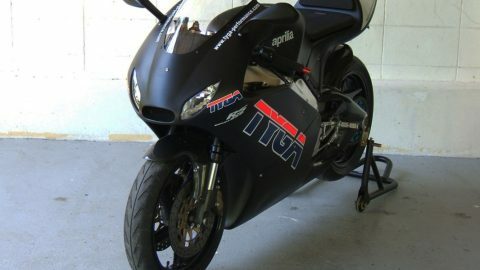 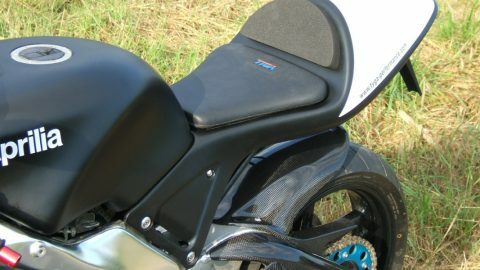 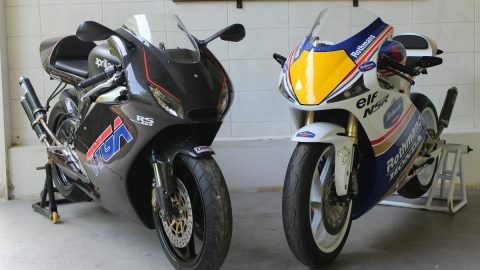 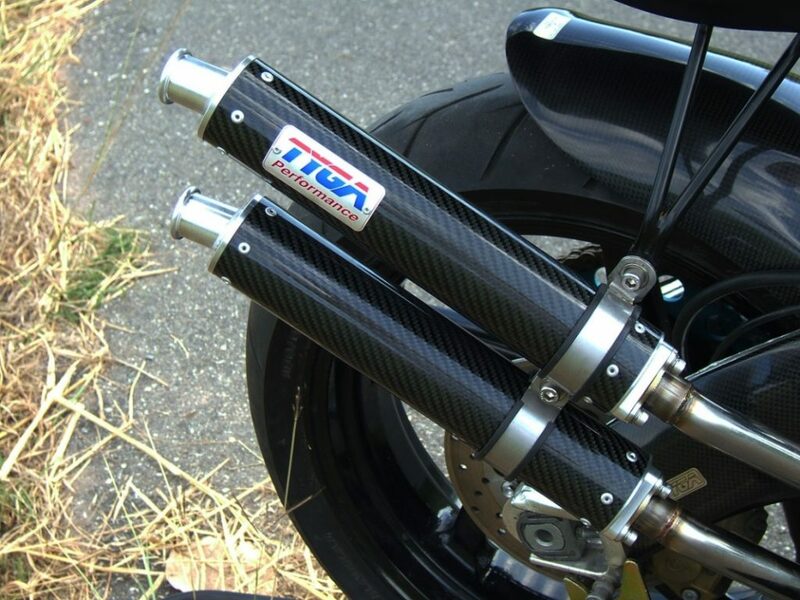 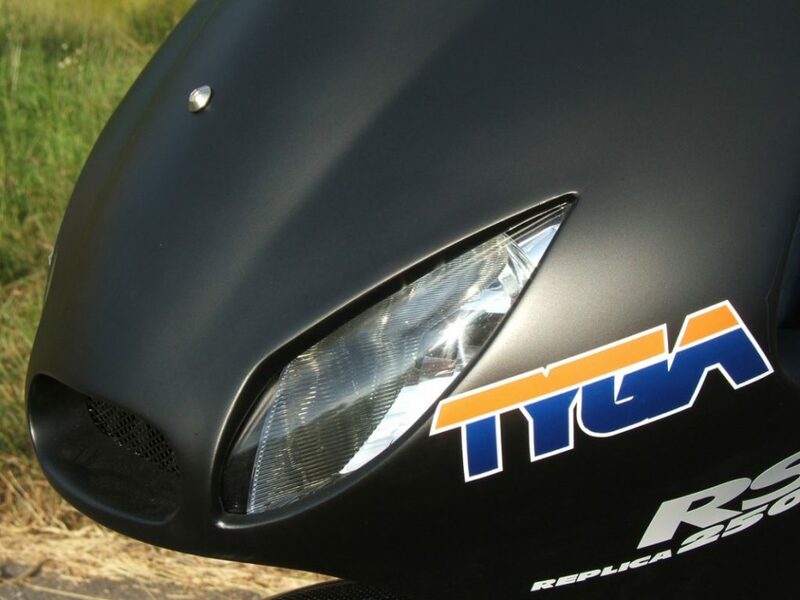 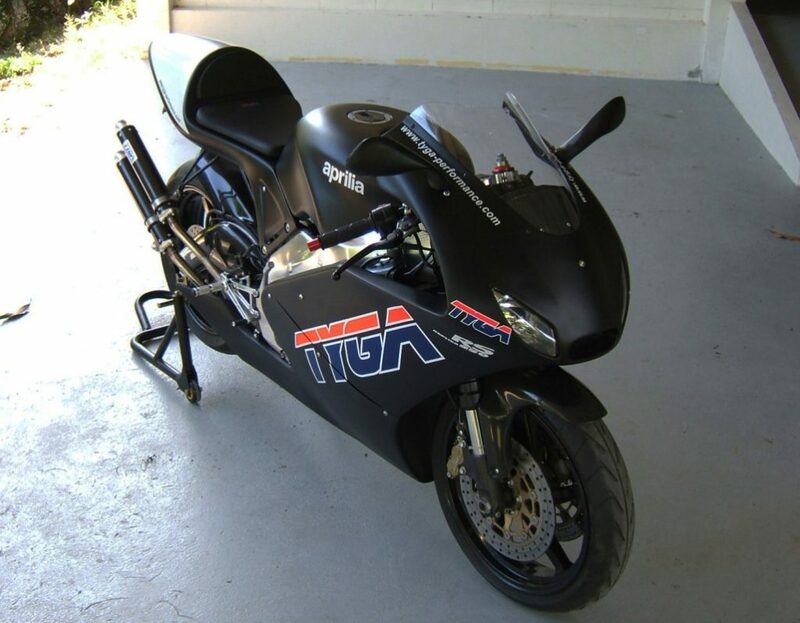 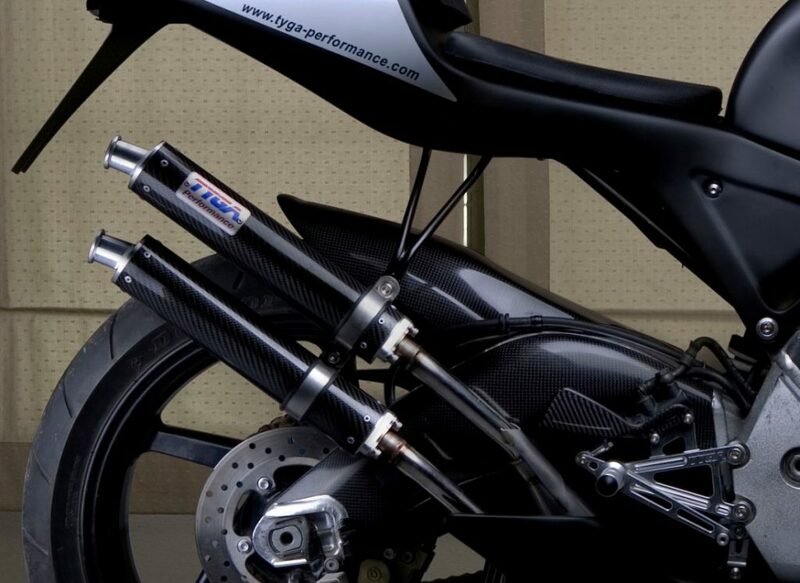 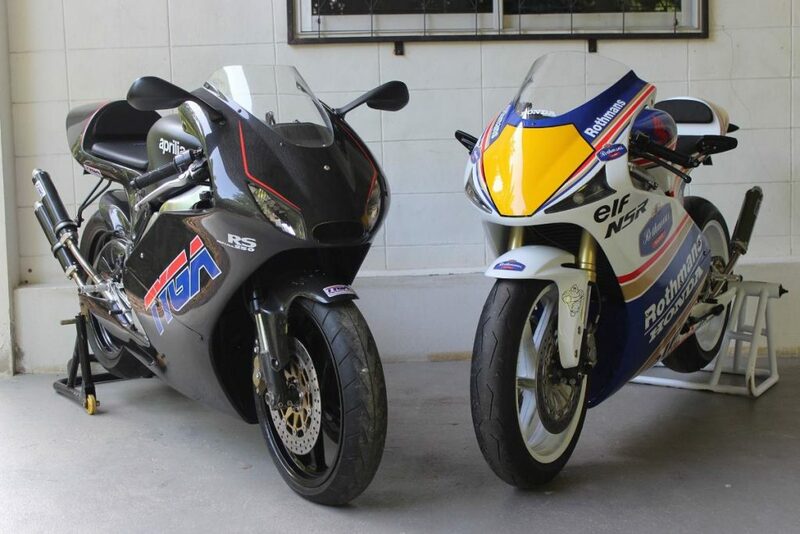 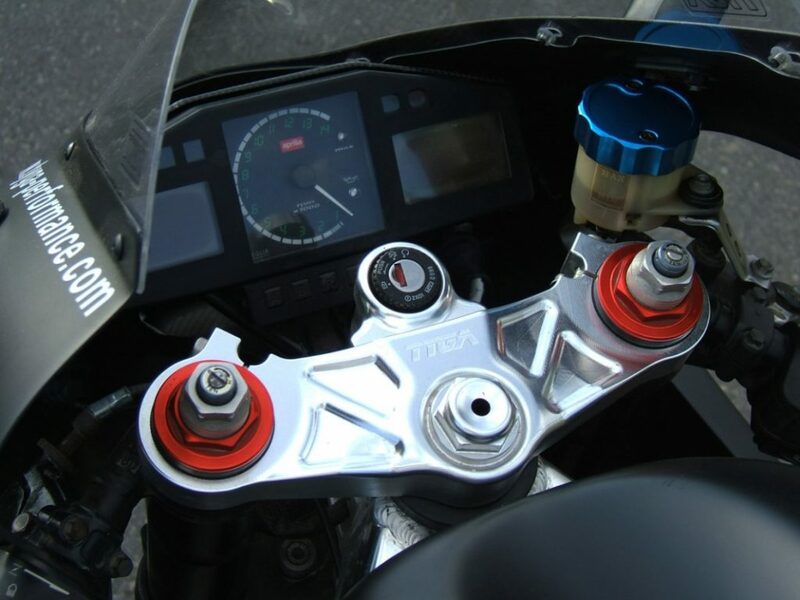 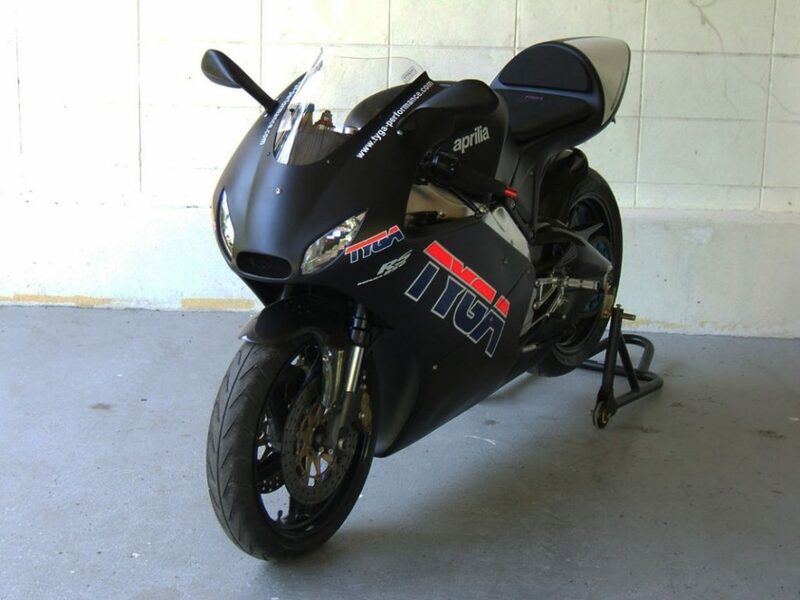 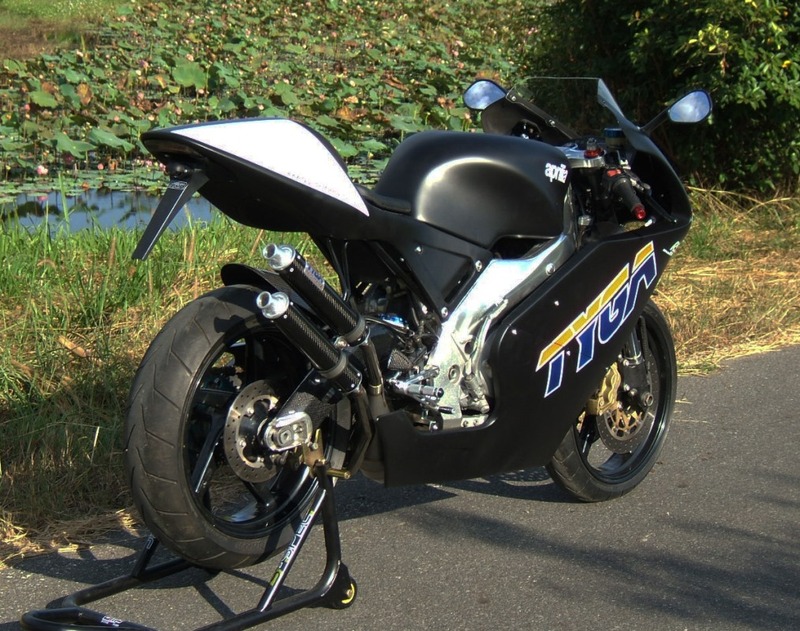 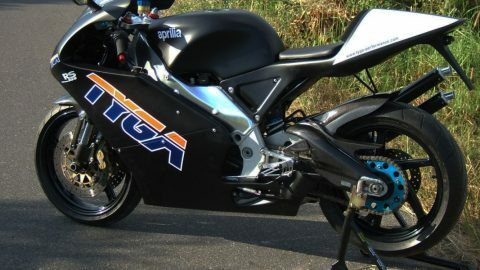 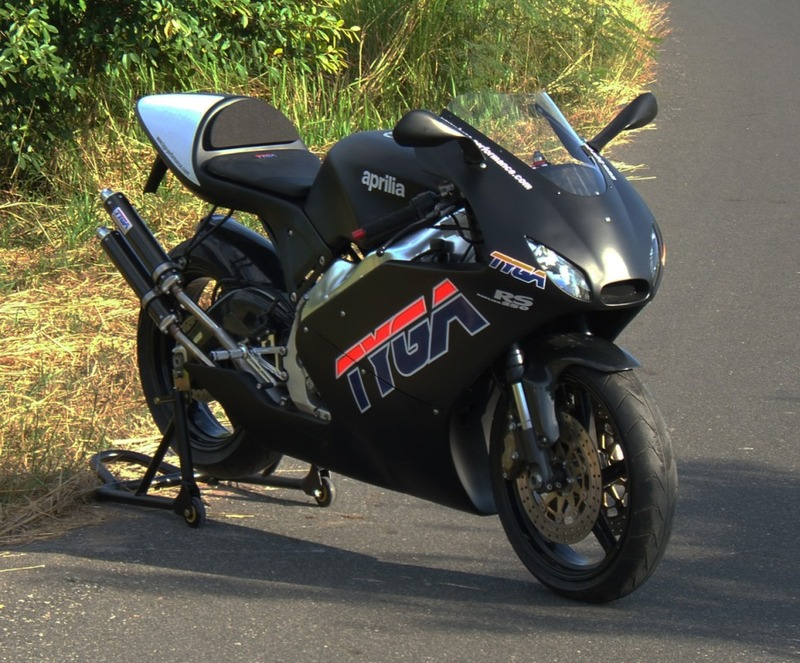 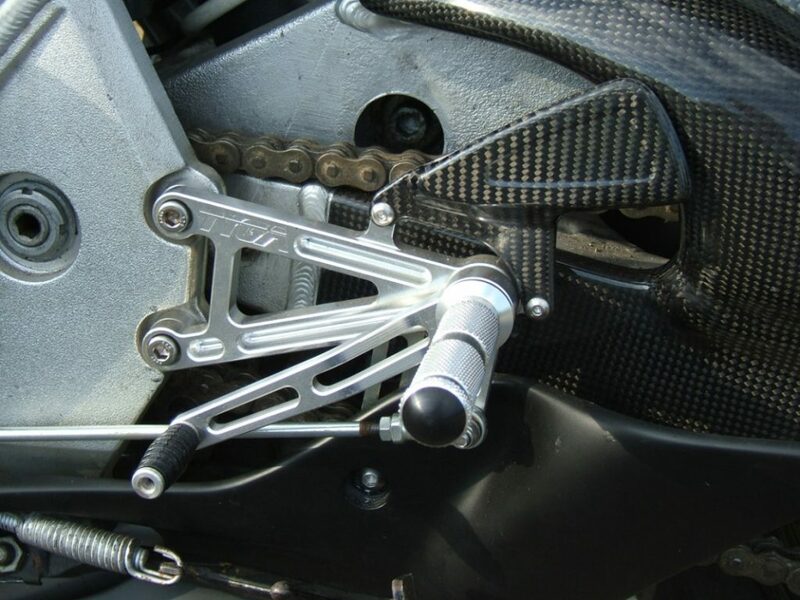 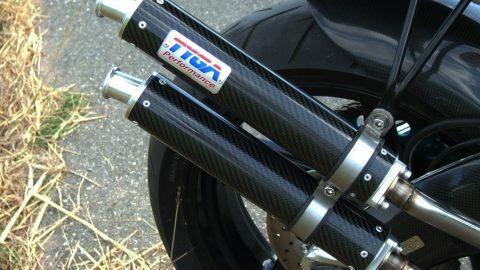 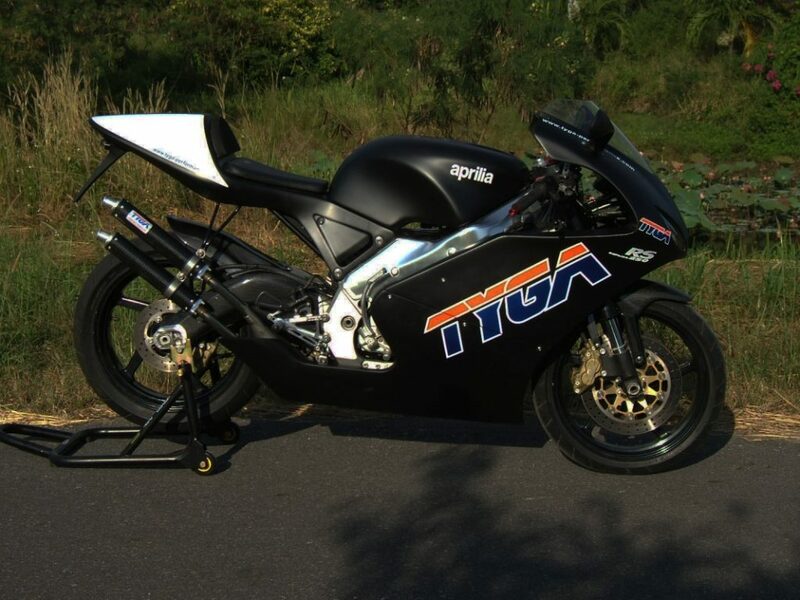 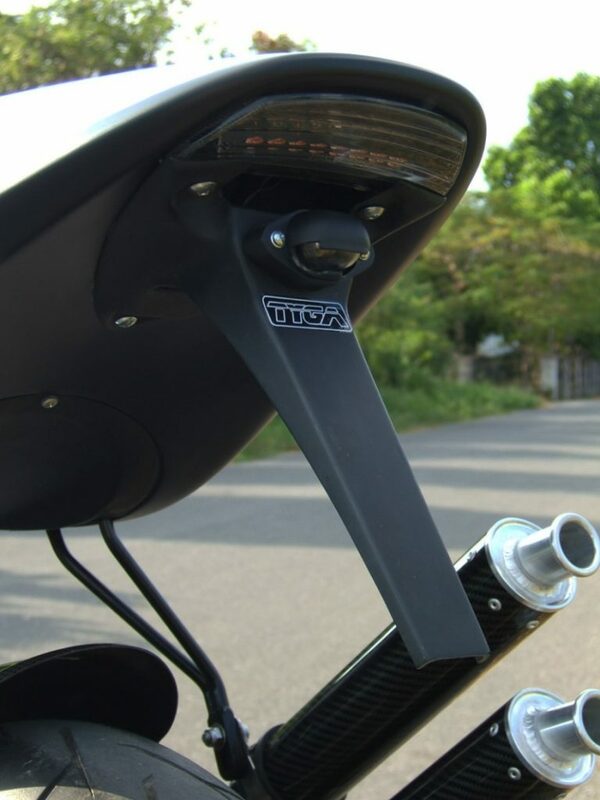 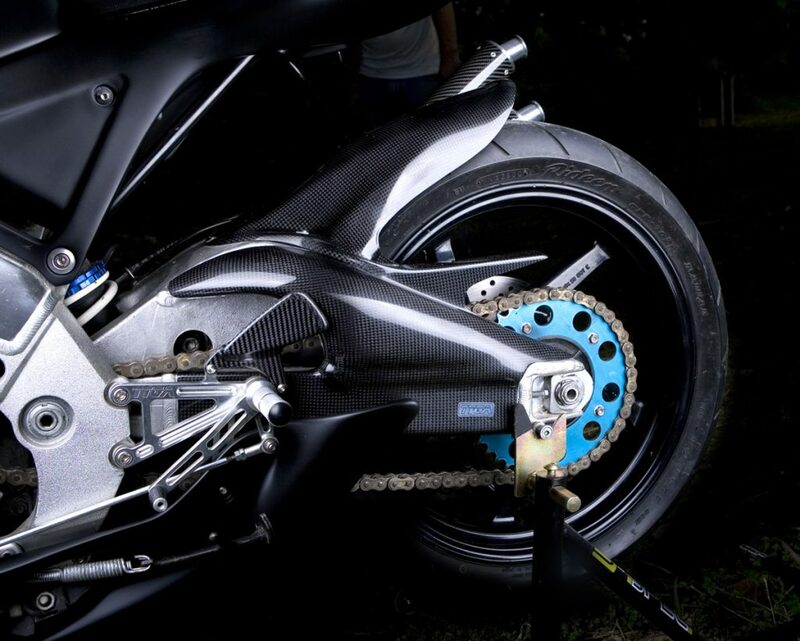 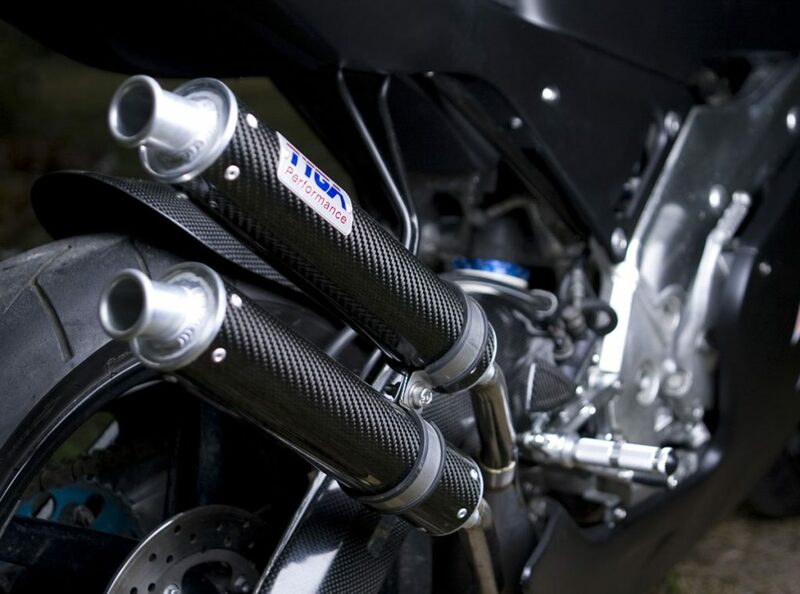 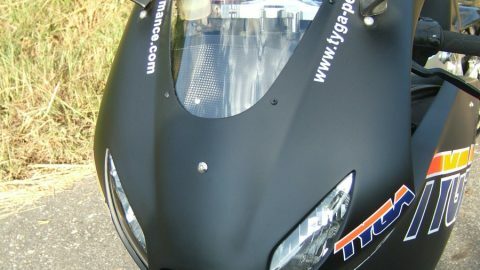 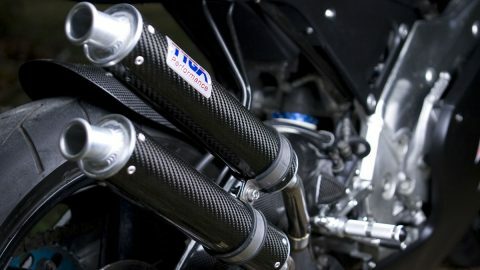 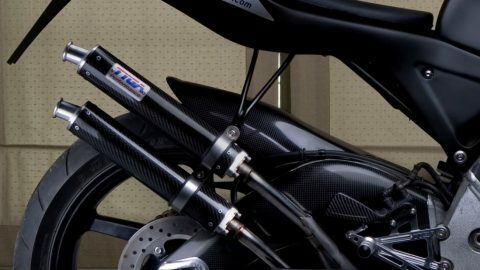 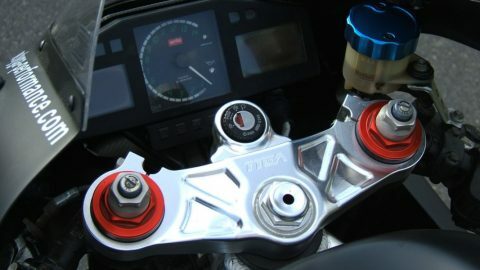 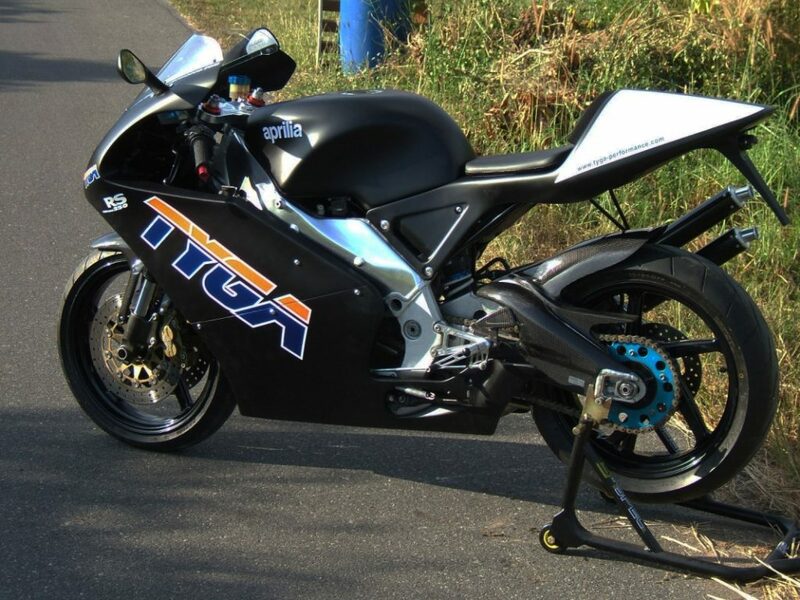 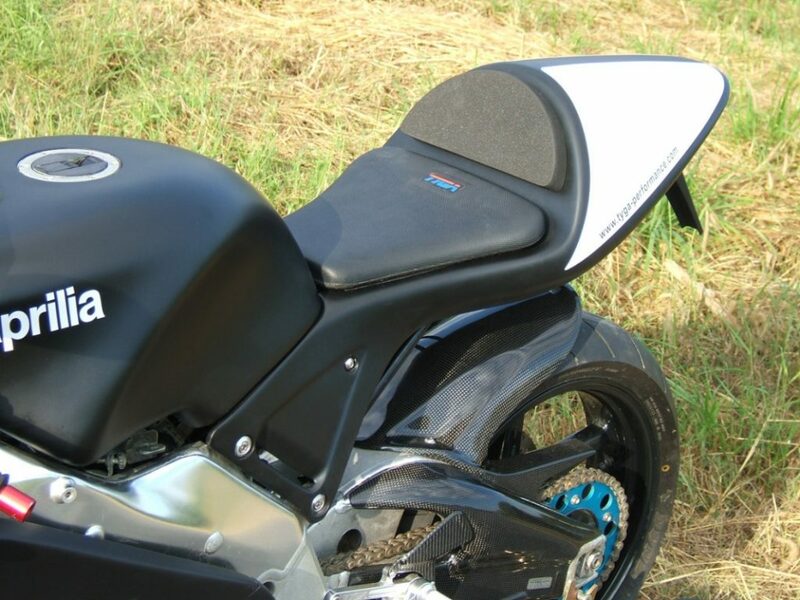 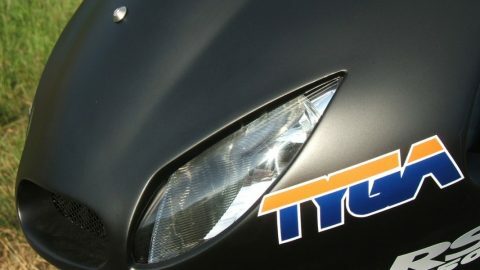 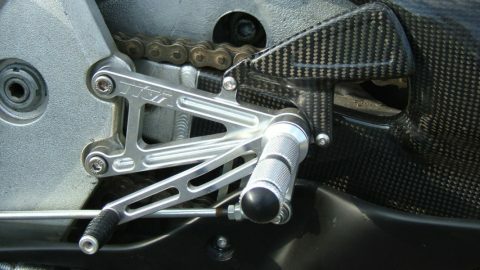 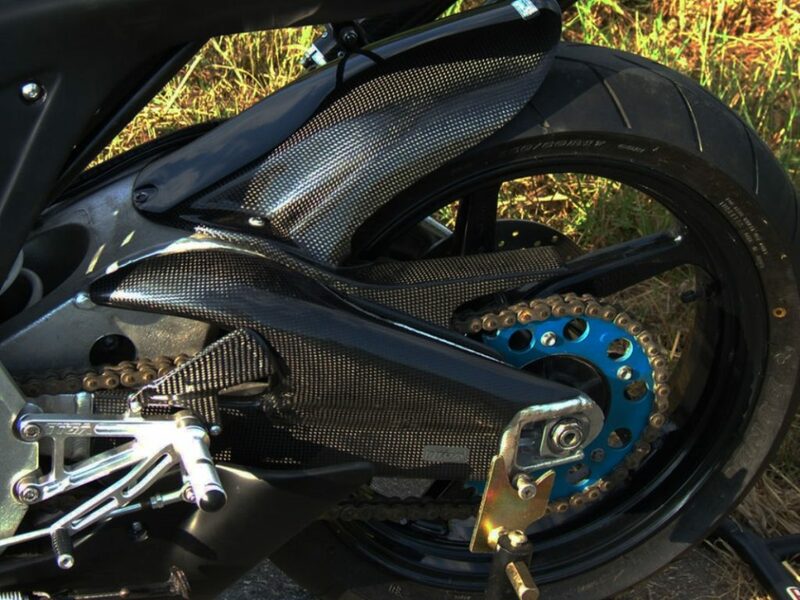 The bike has also been fitted with our swing arm covers to give it the GP250 look. 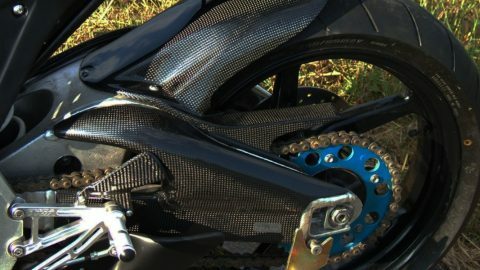 If you squint, you can almost imagine the whole thing is made from carbon! 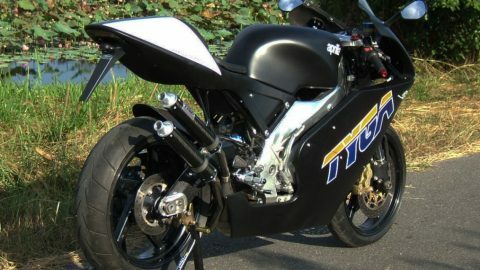 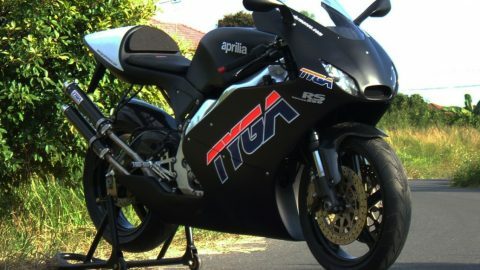 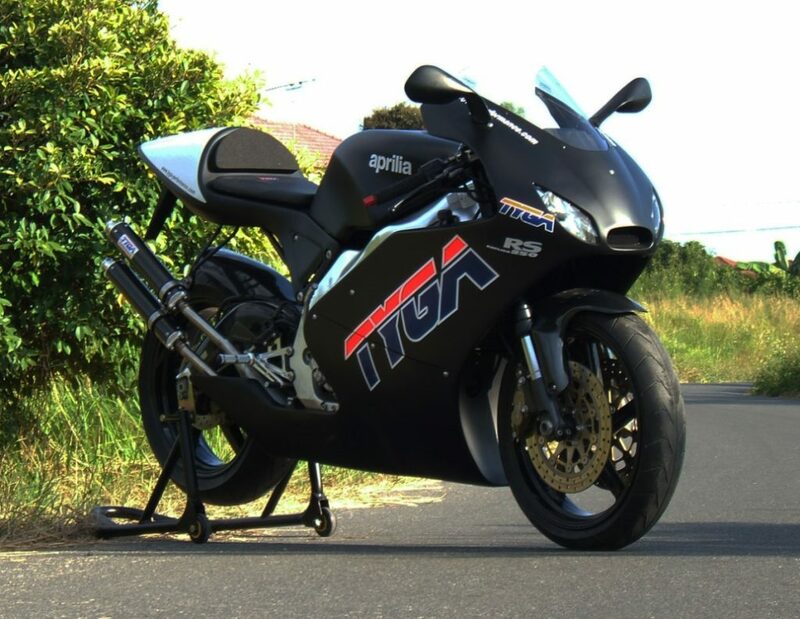 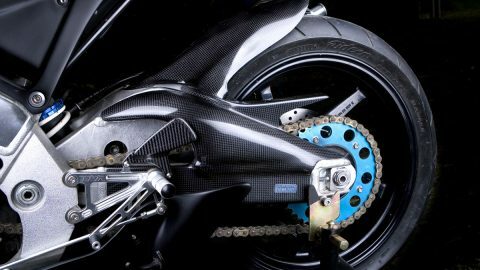 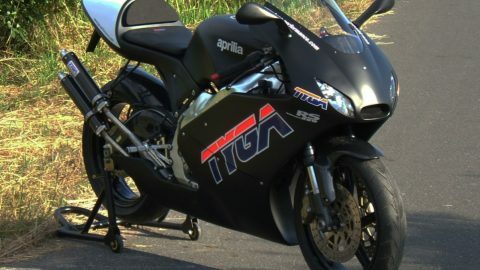 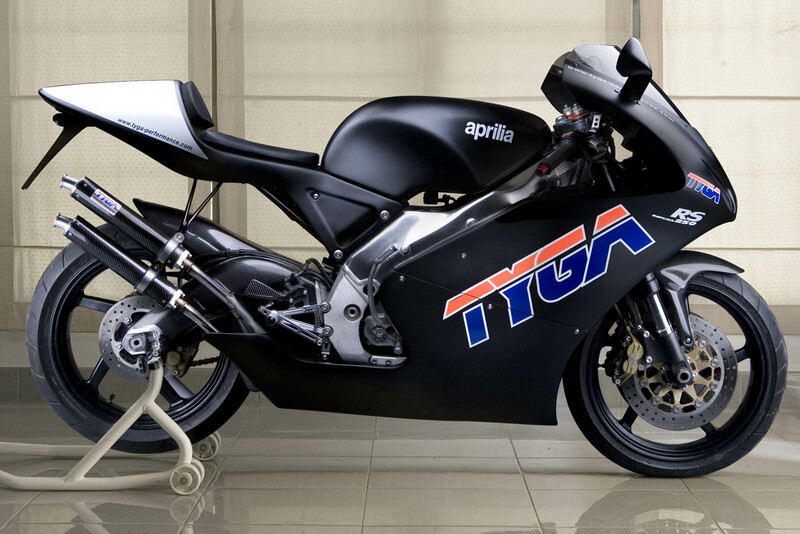 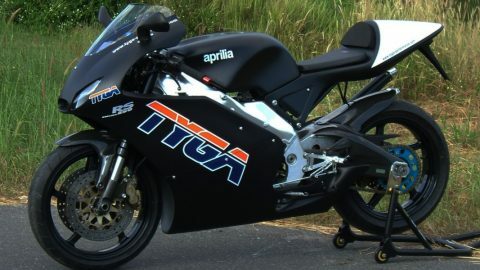 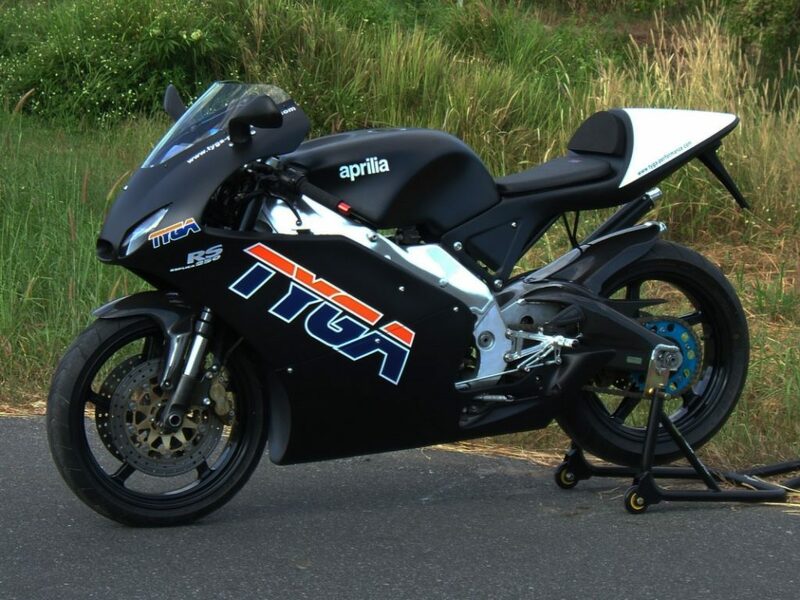 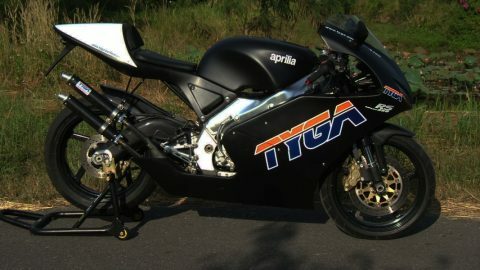 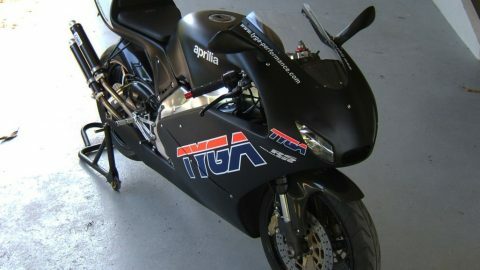 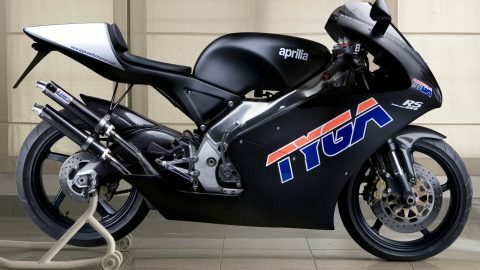 As previously, the bike is fitted with TYGA stainless chambers, step kit and top triple clamp and a few other carbon touches.